This is Lumi. 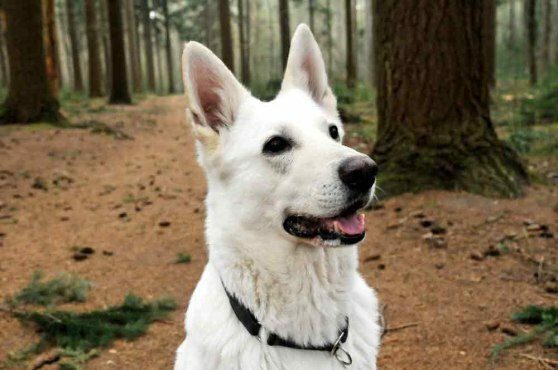 She is a White Shepherd that has captured the hearts of many and inspired the book "In love with Mrs White" (Verliefd op mevrouw de wit, Ton Verlind), that will be published in two weeks. 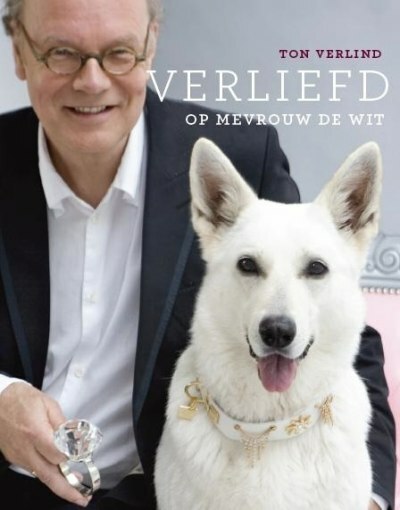 I wish my Dutch was better, so that I could enjoy the book. But in fact being able to instead enjoy the company of Lumi herself is not bad! Yatzie and Lumi attend the same hunting training in Almere. 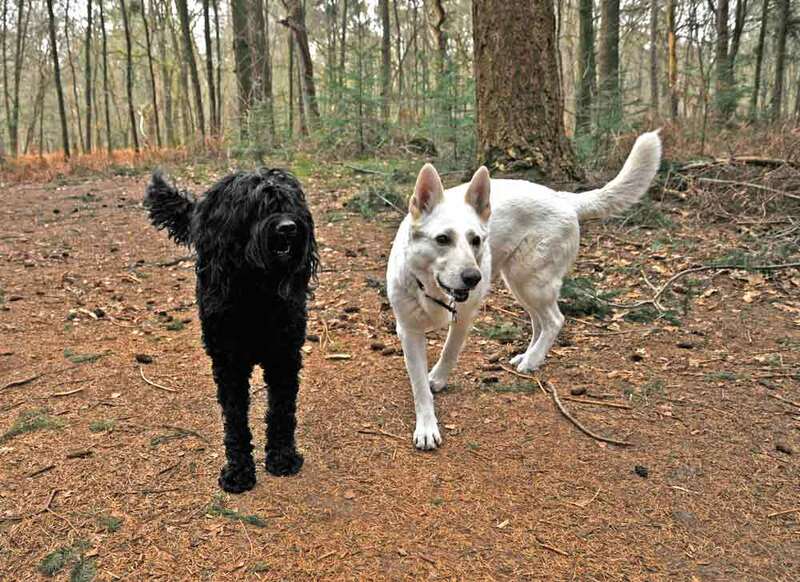 When we took a walk the other day, Letty, Lumis mum, and I noticed that the two new friends already were cooperating as hunting dogs: Lumi being the scout in the front, Yatzie waiting for her to signal the direction. PS Lumi means snow in Finnish. MRS.White (my husband considers Lumi a real lady, not just any girl...!) really liked our walk too. She is willing to give 'hunting' lessons to Yatzie any time! Does Yatzie mean Schatje, or Honey? Of course, MRS Wite - sorry Lumi!! The name Yatzie is derived from the game Yatzy, just added a personal spelling, and I choose it because she is the highest score for me! You know, when you get 5 sixes on the dices it is a Yatzy, the highest score!